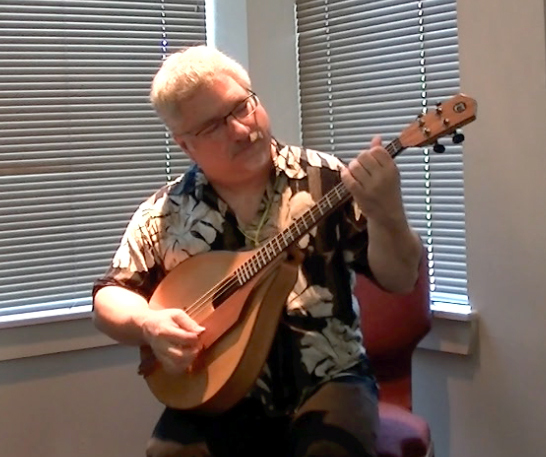 Is this a tenor guitar with an oval body - OR - is it an octave mandolin with single strings? 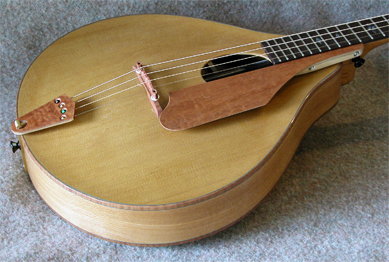 Whatever you call it, it's a simple, lightweight 4-string tuned GDAE like an octave mandolin. 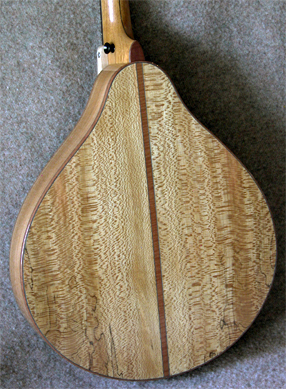 The body is American sycamore, and top is western red cedar. 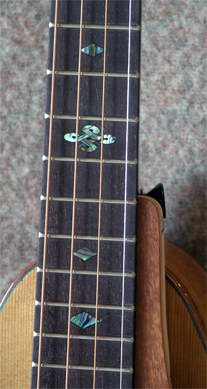 Neck is narra with black stripe. Dark brownish trim is a mix of massaranduba with teal-blue veneer lines, madrone veneer, and curly mahogany. The tone is warm and punchy with a strong attack and moderate sustain. 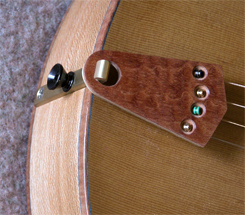 A clean sound for fast melodic work like Celtic music or Bluegrass. Action is low and easy, and the thin neck and short (540 mm) scale make it effortless to play. 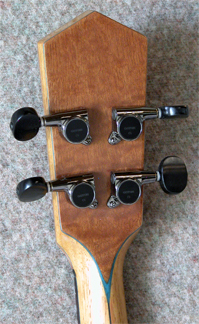 Like all my instruments, it features an adjustable bolt-on neck for maintainability, a "neck reset" is now a user operation. 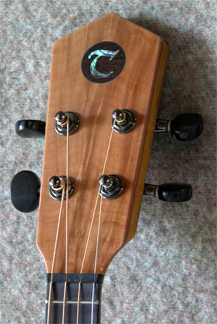 Neck and pick guard do not contact the top, allowing free vibration. Zero fret for super low action. Modern 2-way truss rod together with two carbon fiber bars in neck, slim rounded-V neck profile. 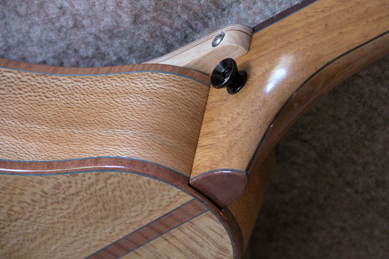 Internal carbon fiber brace from head to tail block. Side Port allows you to hear what you're doing. Comes with a hard case.